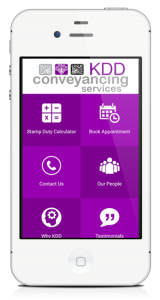 The KDD Settlement Agency Mobile Application is an easy, on the go, Stamp Duty Calculator. The KDD mobile application that helps you with stamp duty calculation on properties for sale and purchase in Western Australia. To better serve and connect with the community we have done away with printed fee schedules. Instead, we developed a smartphone app which allows Buyers, real estate agents and finance brokers to calculate stamp duty and Landgate transfer registration fees on the spot. With stamp duty looming large in the minds of potential buyers, the KDD mobile app allows buyers to make decisions with confidence. The new app puts everything you need at your fingertips however calculating stamp duty is the big appeal.